I have often been asked in my walkabouts what I would like to do for Joo Chiat. I like to start by saying that I do not promise anything on physical upgrading. Any physical improvement should first be something wanted by and necessary for the residents. Then we can work with the relevant authorities to look into the justifications for the improvement. These improvements can be for better traffic flow, parking facilities, use of public facilities for community purposes, better public transport, etc.. They should be something the residents feel strongly that they need and my role, if elected as Joo Chiat’s Member of Parliament will be to actively champion the improvements to the authorities. Joo Chiat is in a unique situation in that there are only 4 public housing blocks. The collection of rubbish, maintenance of roads and parks outside of these 4 blocks are not managed by the town council. Those in condominiums and apartments will have these services taken care of by their respective management committees. Your rubbish will continue to be collected and public infrastructure will continue to be maintained. Joo Chiat will certainly not turn into a slum, as some have asked me. I will in fact, actively monitor the situation to ensure that public services will be performed diligently by the commercial entities outsourced to handle these. Living right in the centre of the redrawn Joo Chiat constituency myself, I will have the benefit of being here 7 days a week to experience the service levels of these commercial entities and to respond more rapidly to situations. Involve passionate volunteers from amongst residents who can raise ideas for community involvement and improvements to the neighbourhood. Encouraging social entrepreneurship. Social entrepreneurship is a good way to drive a spirit of vibrancy in the community. Areas that can be explored include football clinics, baking homemade cookies and cakes for sale, providing avenues for budding arts to offer mural painting services, etc. These are just suggested ideas and any initiative must first be driven by residents. The MP can certainly help to encourage, promote and facilitate where appropriate. 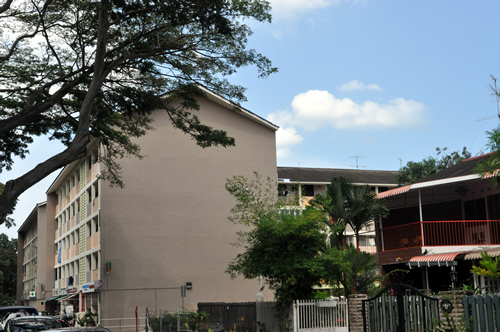 While Joo Chiat is a mostly private residence area, there are some members of the community living here that require assistance with their livelihood. We wish to reach out to these residents through tapping on the goodwill of community service centres and self-help groups in Joo Chiat and matching the needy residents to these groups for adoption. Joo Chiat can be a friendly place with strong family ties. Activities that can be done include promoting the Dad’s For Life outreach, organizing events such as dog shows and securing places for dog runs, and other community programmes to bring neighbours and families together. Popular events already being organised such as golf tournaments will continue to be supported. We will set up an education trust fund with money provided by from donors and fund-raising activities. The money will be used to provide bursaries to needy students. Look into improvements and work with the relevant authorities to solve problems faced by residents. Existing feedback include: flooding in parts of Opera Estate, parking problems, traffic situation at Palm Road / Tay Lian Teck Road, cleanliness of common parks and drains, overcrowding of buses, lack of buses linking Kembangan MRT to various estates in Joo Chiat, etc. 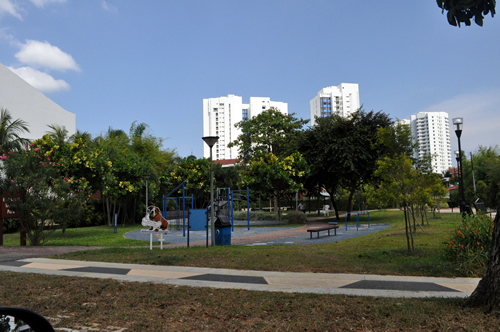 Promote NParks’ Community in Bloom programme to have a green community in Joo Chiat. A beautiful environment will enhance the value of your property. Championing a safe and secure environment. Encourage neighbours to keep a lookout for one another against break-ins, illegal activities and other threats. I look forward to working with residents to turn Joo Chiat into a beautiful home for all. PAP leaders warned of freak result of losing the PAP as government should voters decide to just throw their lot in with opposition because they want alternative voices. 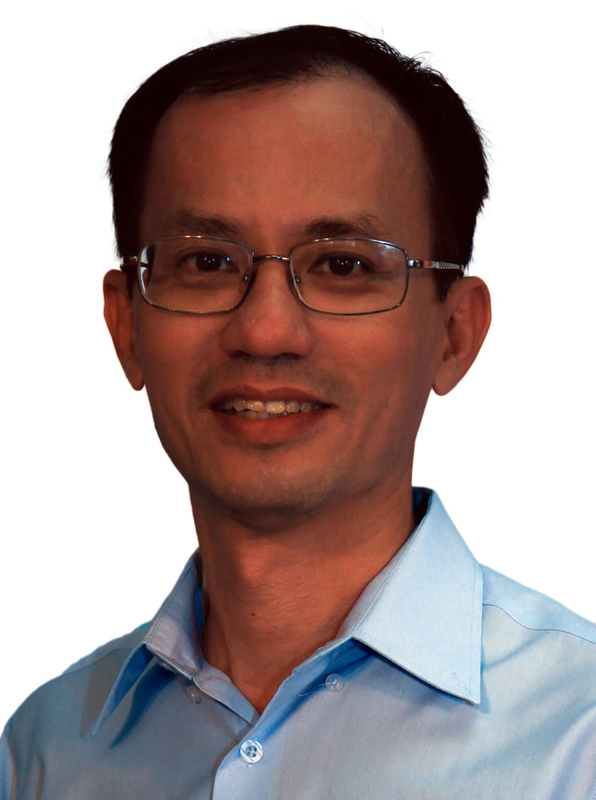 Now there’s a real danger there could be a freak result the other way – that there will be no elected opposition member of parliament now that Mr Low and Mr Chiam have moved out of their comfort zone of Hougang and Potong Pasir respectively. Do you want to have credible alternative voices to speak for you in parliament and to give a proper debate to the PAP? Do you want to send a signal to the ruling party that all these gerrymandering, wrongful use of national resources as elections carrot for upgrading, lack of debate over many issues, and mishandling of policies such as housing and immigration over the past 5 years are not to be tolerated? If so, vote for an alternative. Vote for building credible alternatives for the long term insurance of Singapore. If you waiver in your determination to support the alternative cause, Singapore could end up with zero elected opposition member come 7 May. Choose your vote carefully! There are many people who have been sending me Facebook friends requests. Hence, I have created a public page on Facebook to facilitate discussions with Singaporeans from all walks of life @ http://goo.gl/uniKG. I will be providing frequent updates on my campaign using this page. Please share with fellow Singaporeans. Thanks! I never realised how much fear there is out there amongst Singaporeans until I experienced the General Elections first-hand. I do not feel courageous at all. In fact, I went through and experienced many of the fear factors that are now played out in the political hustling. I have been writing to the forum pages of newspapers for a long time, but views of active citizens are treated as just feedback. They do not generally get one into any trouble so I was unafraid. In fact, despite writing mostly on alternative views, I still got invited to sit on government committees and on school advisory boards. To run as an opposition candidate is a different game altogether. I had thought about it for a long time but had not dared to do so, nor even dared to volunteer for the activities of any political parties, namely because nearly all my businesses come from the government and I was uncertain what would happen to the businesses if I did. I sold and exited my main business a few years ago and could consider going into opposition more seriously, but the thought was rather scary. So I delayed my decision. 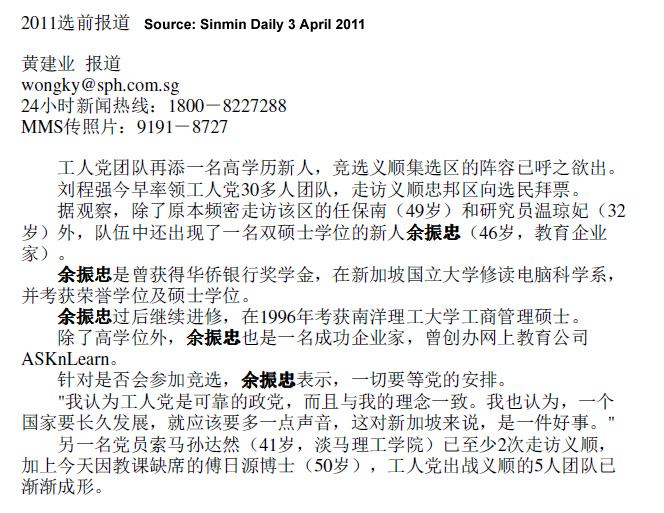 With GE2011 looming, I thought about it seriously again and drafted an email to Mr Low Thia Kiang and Ms Sylvia Lim. I looked and re-looked at it, saved it as draft and re-looked again many times before I had the courage to press the SEND button. People often ask if I was invited to join the WP. No, I initiated the move, as did many of my fellow candidates. I think this is better. There’s more sincerity in coming forth than waiting for an invitation to come to you. After sending the email, it took some days before there was a response as it coincided with a busy time for the party’s leadership. It was an anxious wait because I did not know what I had gotten myself into. But the meetings I had with various WP leaders and Mr Low left me assured that I am dealing with very logical people and more importantly, with people with a passion for something I also believe in, that Singapore should have credible alternative voices rather than rely forever on a near monopolistic rule by one party. I didn’t expect what was to come next. My wife has so far been very supportive of all the things I have done; when I switched from academic career to a statutory board and then to a SME. We gave up our jobs to start a dotcom in 1999 when our son was just a few months old and we have two other young daughters. She is a risk-taker just like me. I thought she would readily accept my political aspiration. I was dead wrong. I have never seen my wife protest so vigorously over any decision I had made in our 18 years of marriage. She was so emotional at one stage that it created a scene at a coffeeshop we were eating at. Her fear of what will happen to me, our family and our fledging new businesses is so great that it shocked me. I promised her I would give up my political ambition. Hence, I know what my fellow candidate Watson Chong felt when he shared about his family objections. Then I took a gamble. I suggested she might want to tell her mother about my political ambition. I knew my mother-in-law was a die-hard fan of MM Lee Kuan Yew and had said she will always support PAP as long as MM Lee is still around. It’s a desperate bet on the sensibility of my mother-in-law as I had no more cards to play. I knew I could not convince my wife on my own. Surprisingly, she advised my wife that if it’s my ambition, she should try to support it. Today, my wife is won over and actively campaigning for me while helping to run our businesses in my absence. I am truly appreciative of her. I have friends and relatives who initially agreed to be my assenters but backed out after others have warned them about being too closely associated with an opposition candidate. Various fear reasons were given, including one with a parent on pension who feared the pension would be affected if my friend supported me. Another man I met during walkabouts turned out to be my classmate’s father. I gave my name card and suggested my classmate email me as we had lost contact for a long time. The father replied that his son works for the government, so better not. Really, if the ruling party is to pursue everyone sympathetic of the opposition or people linked to those sympathetic, half of Singapore will be under investigation. That will take a very large special investigation force to do that! As I did the walkabouts, I came across residents who still had the false belief that their votes may not be secret. Some older folks I met had even greater apprehensions. They had seen people they knew of imprisoned or removed from their jobs during the turbulent years of the 1960s. A man in his late 80s told me he was removed from his teaching job for several months for being anti-merger with Malaysia until a PAP friend helped reinstate him in his job. The ruling party has been playing up the fear factor in other areas too. They suggested that there could be a freak result and Singapore would be left with a bad government. They warned us that there’s no margin for error and we should not experiment with the opposition. They portrayed that only the ruling party is capable of making decisions. A man living in a HDB flat about to be upgraded told me he feared losing the upgrade. The GRCs that are under the most threat of losing in GE2011 get promised big upgrading carrots. What a sad loss of dignity if we allow our own monies to be used to threaten us. These fears that currently still exist 46 years after independence are such sad legacies of our economic progress. Yes, we may now have first world infrastructure but why are ordinary people living in such fear? Is it not your democratic right to choose who you wish to vote for and if you choose to be actively support a legitimate political cause? I hope my children will never have to live with such fears. Let the competition be about what platform a party can offer and what the candidate(s) can offer. But never let yourself be intimidated by what is rightfully yours. Live your life with dignity! When my children were younger, I would sometimes trick them with “Heads I win, tails you lose” when we flipped a coin. I can never lose, of course! On 23 April, Education Minister Ng Eng Hen warned of the possibility of a freak result and even a change in government as one can never know how others are voting. When the opposition used the by-election strategy of fielding candidates in less than half of the total parlimentary seats, they were branded as being not serious. When the opposition fields many candidates, the ruling party attempts to scare people from voting for the opposition. So either way, they win their argument. In this elections, perhaps all seats may be contested. Voters are all excited they can get to exercise their votes. Some have never voted before in a General Elections. I have never seen the nation so excited about a General Elections since I came of age to vote 25 years ago. Isn’t this what a number of PAP senior members were saying too, that they hoped for a contest in their ward? SM Goh said, “I’m quite confident and I’m looking forward to the election. I hope there will be a contest.” (TNP, 2 March 2011). Finance Minister Tharman Shanmugaratnam said that a strong opposition is good for his party and the country (Asiaone, 3 April 2011). My fellow WP member, Yaw Shin Leong has compiled many quotes by Dr Ng’s PAP colleagues of how confident they are in the upcoming elections. In a democracy, contests are to be expected. Dr Ng should be more confident of himself and his team mates. He should be confident of what his team has done for his constituency and his own achievements at the national level. If the voters wish to have a change, then that’s their democratic right as well. There’s no need to scare voters by painting a negative image of the alternative camp. With the PAP’s strong party machinery and self-proclaimed good track record, there’s nothing the ruling party should fear about a freak result. Sadly too, I still meet people who think their votes are not secret. They fear what will happen to them if they do not vote for the ruling party. Voting is secret. In fact, voting is your right. You have a right to vote in any way you desire and no one should have the right to do anything to you even if you choose to tell how you have voted. Voters need to consider if they wish to make their voices heard. Yes, by all means think carefully if you trust the party and the candidate(s) in the alternative camp being presented to you. But do not let fear be the factor that influence your decision. Spoiling your vote? Think carefully! I have reconnected with many long lost friends as a result of my campaigning. Met Ms X, a fellow student councillor from Temasek Junior College. We have been neighbours in the same estate for years and we did not know it! We spoke about old friends and about the upcoming elections. Our discussion drifted into the quality of opposition today versus those days when we first started voting over 20 years ago. We were both then in the Siglap constituency and she recalled a fishmonger contesting Mr Abdullah Tarmugi in our first elections since coming of age. She said she spoilt her votes because she did not want to vote PAP yet she could not vote for the fishmonger. Honestly, I could not remember how I voted then too. She said she regretted spoiling her votes, because soon after, she moved to the Marine Parade constitutency and did not get to vote again until she moved back to Joo Chiat. To her, we get to vote once every 5 years and we should make our stand for whichever we feel fits our political beliefs. So she will not spoil her votes anymore. The bar to contest in general elections has been raised. We will hardly get the situation today of uneducated candidates like a decade ago or longer. I do not look down on people with low education or humble work experiences, but in today’s environment, it will require a good level of understanding of the workings of parliament and governance to work effectively for the people. In GE2011, many people with good career and education backgrounds have been coming forward in a sort of political awakening throughout Singapore. You do have a choice. Someone commented to me that he was going to spoil the votes because he said the opposition are not united, fighting one another in 3-corner fights. This will let PAP win easily, so he felt he might as well not vote any specific opposition nor does he want to vote PAP. The ability for any qualified person to stand is for elections is what a democratic system is about. Candidates do have the choice on where they like to stand in and why. While political parties have made significant concessions to one another, each party has its valid reasons for wishing to contest in a certain area and not all 3-corner fights can be resolved. Voters should see that they now have extra choices and should not spoil their votes. Political parties are all not the same. Examine the party and the candidates carefully and make your choice. The ruling party, being overwhelmingly represented in the last elections will be the favourite in all the constituencies they had previously won in. They have a mean fighting machine. I do not believe there will be a freak result. The opposition has risen strongly in this elections, but unless there can be a breakthrough in the number of opposiiton seats won, nothing much would have changed in the political scene. The rise of the opposition is still in its infancy. Those who believe that Singapore should have more of a functioning democracy and that we need a first world parliament should state their stand clearly to encourage the opposition. By transferring a spoilt vote into a vote for the opposition, you will also decrease the ruling party’s vote percentage and send to them a strong signal of dissatisfaction with the state of affairs and make them pay more attention to you. In the book “Alice in wonderland”, Alice came to a fork in the road and asked a Cheshire cat sitting there which road she should take? “Where do you want to go?” was the cat’s response. “I don’t know,” Alice answered. “Then,” said the cat, “it doesn’t matter.” Do you know where you want Singapore’s political system to go? If you don’t, it doesn’t matter. But if you do wish Singapore to have stronger alternative voices so that your views are heard, then it does matter. Written by Yee Jenn Jong. Jenn Jong is a WP member. He blogs in his personal capacity. Once again, PM Lee has said that Singapore will not have 2 quality teams (Straits Times, 22 April 2011). He cited that even with their access to all the talents in the country, the PAP has difficulties in finding people for certain jobs. Perhaps PM Lee has not noticed that quality people are coming out of late in increasing numbers on the alternative camps, both formerly from the government service and from the private sector. He also discussed about former government scholars who have been nurtured by the system and are now opposition candidates. While it is their right to do so, he sort of implied that they should have been grateful to the government for having nurtured them. It is time for a reality check by PAP as to why they are missing out on these talents and why many talents, even those formerly from the government service and grassroots are appearing on the opposing team. The system has run for too long as an elite group that they have lost touch with the commoners. Mr Ngiam Tong Dow, former Permanent Secretary in various ministries cited the example of Sparta and Athens, two city states in Greek history. Singapore is like Sparta, where the top students are taken away from their parents as children and educated. Cohort by cohort, they each select their own leadership, ultimately electing their own Philosopher King. Mr Ngiam felt that though the starting point was meritocracy, the end result was dictatorship and elitism. In the end, that was how Sparta crumbled. He observed that Athens, a city of philosophers known for its different schools of thought, survived. Sparta was a well-organised martial society, but in the end, very brittle. Athens survived because of its diversity of thinking and was a city worth fighting for. It can be quite delusionary when one is amongst elites for a long time. You will start to think that only you are the best, that only you have the solutions to everything. Singapore is in danger of being a Sparta now, promoting only one way of thinking, recruiting people from the same mould as that of previous generations of elites. I have greater confidence than PM Lee that Singapore has a bigger diversity of talents to have more than one team. I was educated entirely by the Singapore system and was politically apathetic until I started working and travelling. Somehow, our very meritocratic education system is guilty of making talents disinterested in politics. People are driven to pursue career success and some prefer to achieve personal success and then wait for the ruling party to invite them to join their tea parties. I did not consider to be part of the PAP as I felt there should be room for divergent voices and an alternative team. Some talents may feel choked in the PAP system and prefer to stay out. Some have chosen to join in opposing teams. Unless PAP loosens itself up, it will increasingly find talents avoiding it and joining the opposite camp. Written by Yee Jenn Jong. Jenn Jong is a WP member. This blog is written in his personal capacity.